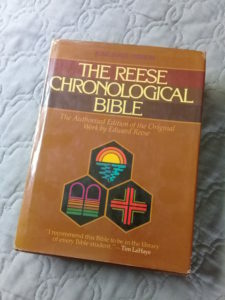 If given the task, most of us would have a really difficult time organizing the Bible in chronological order. Our diagram would probably look like a poorly made spider’s web. On the other hand, many of us would love to be able to read the Bible in chronological order, that is, to be able to read the stories within the Bible as they relate to one another. If you are too busy to READ the Bible on the go, you might be well served LISTENing to the Bible on the go. Even though reading from a book has its advantages in absorbing and retaining information, hearing also has its own advantages. If you don’t have the time to read the Bible, you certainly have time to listen to the Bible. The My iBible Digital Audio Bible Player might just be the device you need to get you going. There is nothing like having a little fun while learning, and the Picture Bible provides exactly that. As you read through it, you will learn a lot about many of the exciting stories found in the Bible. 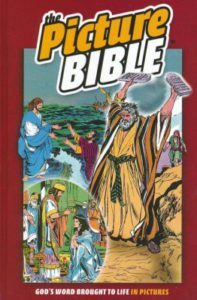 Picture Bible color, action, adventure. Read what others are saying about the Picture Bible (scroll to the bottom of the linked page for independent reviews).